A Pocket Full of Change is the story of a boy who goes out one day on his bicycle with a pocket full of coins, and puts them one by one on railroad tracks to be run over by trains. As the value of each coin increases toward a silver dollar, he begins to consider the cost, and in the end values experience more than money. 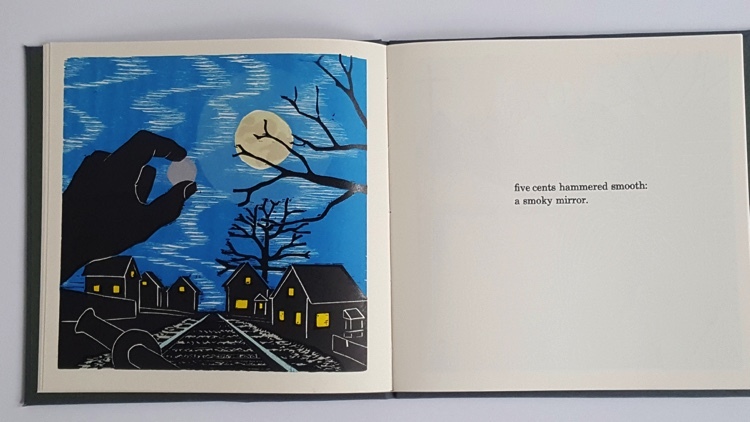 The story is told in rhymes, set in movable type, and illustrated with 20 original, multi-color woodcut prints. The book comprises impressions from a total of 142 relief blocks: 109 hand carved wood blocks, using Shina for the landscapes, and oak for the skies; plus 33 additional blocks made with magnesium, linoleum, and brass tool, to create the coins, the various birds, and the rain. The author did not start putting pennies on railroad tracks until he was an adult. There were no tracks near his childhood home in North Olmsted, Ohio, so the opportunity didn’t come up. However, his adult home in Lakewood is located near Norfolk and Southern, CSX, and other freight lines, as well as the a commuter line. As an adult, he has had opportunity to explore the behavior of pennies, nickels, dimes, quarters, and all the coins under the intense pressure of passing trains. Each coin denomination behaves differently. The weight of the train always smears them into useless forms, flat and elongated, never quite symmetrical. But when crushing a dime, for example, the copper layer between the faces always spreads out to make a ring around the silver center, like a bull’s eye. Crushing half dollars and silver dollars makes something resembling a shiny potato chip. Lives and works in Lakewood, Ohio, United States. 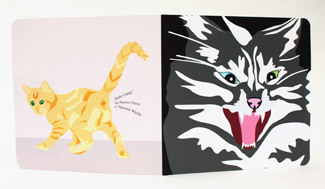 Michael Gill came to print making as a writer, seeking a way to give stories to his children. 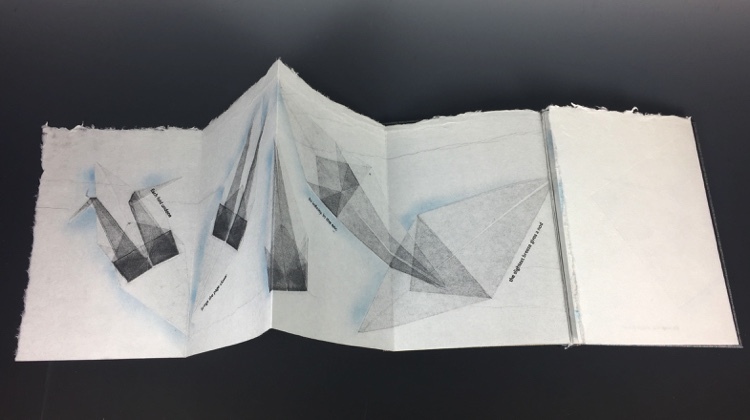 He has exhibited books in solo shows at William Busta Gallery, BAYarts and Tregoning & Co. and internationally at the Alte Feuerwasche Loschwitz Gallery during a residency at the Grafikwerkstatt in Dresden, Germany. 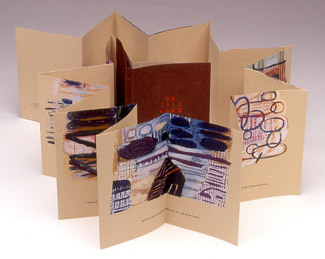 His books are in the collections of Zygote Press, the Morgan Conservatory, Cleveland Public Library Special Collections, and private collections in the US, Germany, France, and the United Kingdom. He is founding editor of Collective Arts Network Journal in Cleveland.Michael Gill came to print making as a writer, seeking a way to give stories to his children. 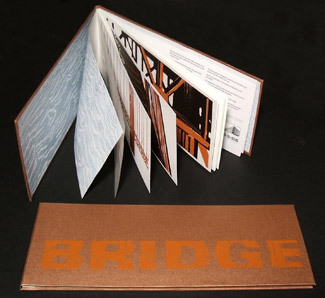 He has exhibited books in solo shows at William Busta Gallery, BAYarts and Tregoning & Co. and internationally at the Alte Feuerwasche Loschwitz Gallery during a residency at the Grafikwerkstatt in Dresden, Germany. 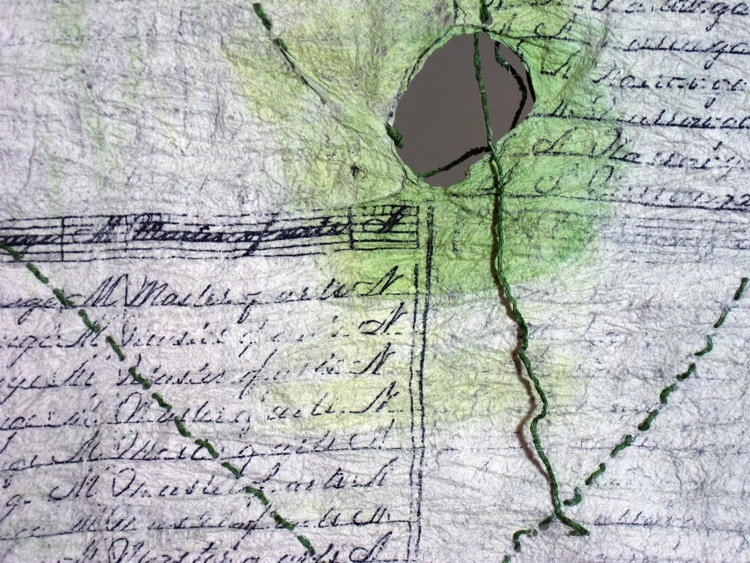 His books are in the collections of Zygote Press, the Morgan Conservatory, Cleveland Public Library Special Collections, and private collections in the US, Germany, France, and the United Kingdom. He is founding editor of Collective Arts Network Journal in Cleveland.